52 new fighter jets are to be delivered by 2025, the largest ever military acquisition in Norway. Update, November 3rd. : The three aircrafts landed between 15:57 and 16:00 local time on Friday. The three first of the multi-role aircraft landed at Ørland Air Force Station in central Norway on November 3nd after more more than 10 hours in the air from the United States. A week later, on the day of the Royal Norway Air Force’s 73rd anniversary, the arrival will officially be celebrated. «The future has landed,» reads the headline for the news article posted at Norway’s Ministry of Defense a few minutes after landing Friday afternoon. Others call it a «Game changer». F-35 will replace Norway’s current fleet of F-16 fighter jets. With the new planes, the Armed Forces significantly strengthens its strategic capability, not only with more aircrafts than today’s fleet, but firstly because the F-35 has better weapons, sensors and survivability. «This helps ensure that Norway is able to present any future opponent with a credible threshold against military aggression or coercion,» the Defense Ministry says in a statement. 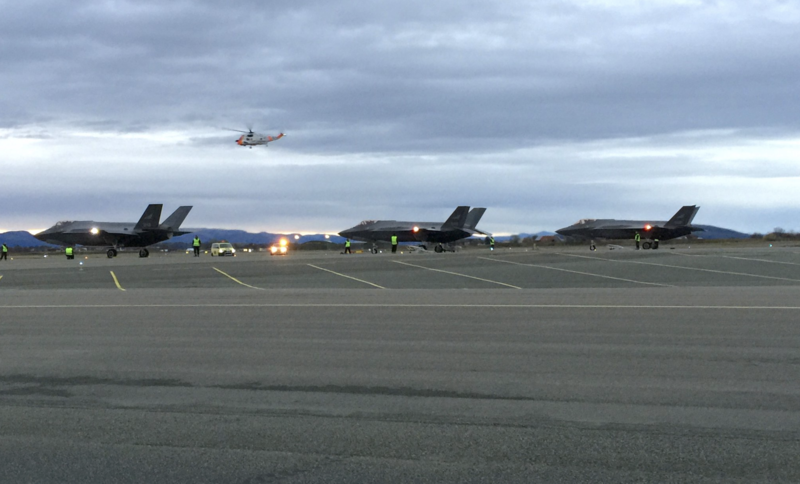 With the arrival of F-35, the military moves the main base from Bodø north of the Arctic Circle to Ørland Air Force Station northwest of Trondheim, more than 400 kilometers south of the Arctic Circle. In the north, Evenes airport near Narvik will serve as a forward operating base to offer Quick Reaction Alerts for Norway’s Arctic airspace. Since 2007, Norwegian fighter jets have frequently been scrambled by NATO to identify Russian strategic bombers flying out in international airspace via the Barents Sea and further south outside the coast of northern Norway. 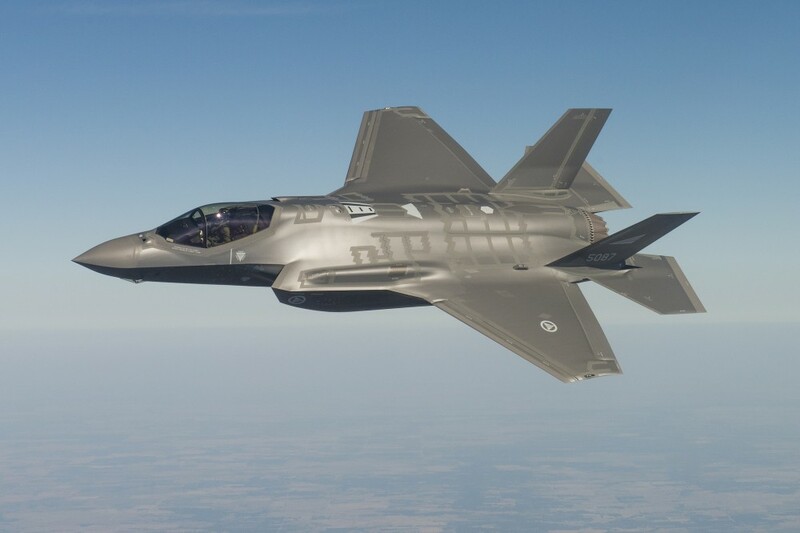 The 52 F-35 fighter jets made by American Locheed Martin are estimated to cost Norway 70 billion kroner (€7,37 billion). That includes weapons and support equipment.